A team led by the Department of Energy’s Oak Ridge National Laboratory, that also included scientists from University of Tennessee, Rice University and New Mexico State University, has developed a new method to produce large, monolayer single-crystal-like graphene films more than a foot long. The novel technique may open new opportunities for producing high-quality graphene of unlimited size and in a way that is suitable for roll-to-roll production. The ORNL team used a CVD method — but with a twist. They explained in this work how localized control of the CVD process allows evolutionary, or self-selecting, growth under optimal conditions, yielding a large, single-crystal-like sheet of graphene. “Large single crystals are more mechanically robust and may have higher conductivity,” ORNL lead coauthor Ivan Vlassiouk said. “This is because weaknesses arising from interconnections between individual domains in polycrystalline graphene are eliminated”. “Our method could be the key not only to improving large-scale production of single-crystal graphene but to other 2D materials as well, which is necessary for their large-scale applications,” he added. 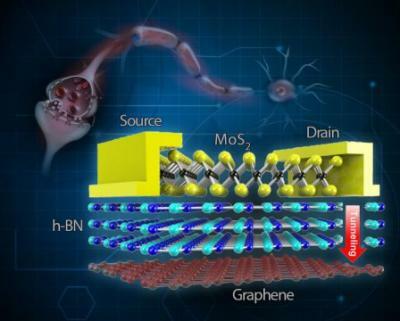 A team of Chinese scientists has developed graphene-based high temperature-resistant memristors, which are leading candidates for future storage and neuromorphic computing, with potential to address existing challenges in the development of electronic devices. 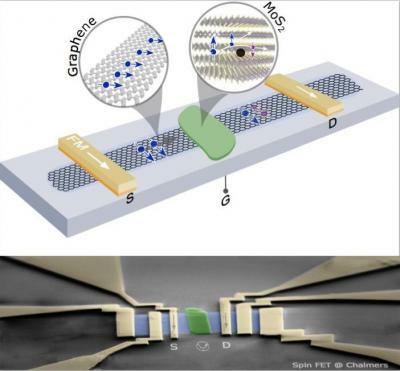 The sandwich-like memristor is composed of two layers of graphene, with a layer of molybdenum disulfide in the middle. The memristor devices exhibit excellent thermal stability and can operate at a high temperature of up to 340 degrees Celsius. Researchers from Florida State University, Penn State University, Tsinghua University in China and the Institute of Carbon Science and Technology in Japan have come to fascinating conclusions on how to produce pure hydrogen, a green energy fuel by splitting water. After experimenting with ways to use the compound molybdenum disulfide to split water, the team realized that the compound’s protons did not overlap well with that of hydrogen. They ultimately determined that the best way to split the hydrogen was to create an alloy with the molybdenum disulfide. 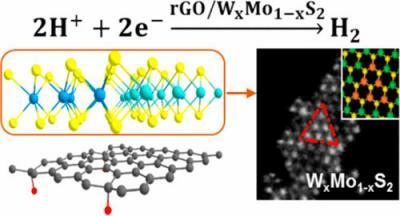 They created a thin film with alternating graphene and tungsten-molybdenum layers. Researchers at Chalmers University, affiliated with the Graphene Flagship, have devised a graphene-based spin field-effect transistor with the ability to function at room temperature. 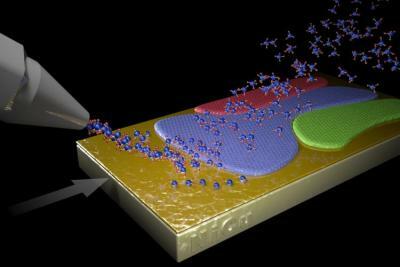 The team used the spin of electrons in graphene and similar layered material heterostructures to fabricate working devices in a step towards combining memory devices and the logic of spintronics. The researchers demonstrated that the spin characteristics of graphene can be electrically regulated in a controlled way, even at an ambient temperature. In addition to possibly unlocking various probabilities in spin logic operations, this study also enables integration with magnetic memory elements in a device unit. If further advancements can assist in the production of a spin current without the need for charge flow, the amount of power needed will be considerably reduced, resulting in highly versatile devices. Researchers at the Korean IBS, in collaboration with Sungkyunkwan University, have designed a novel graphene-based stretchable and flexible memory device for wearable electronics. The team has constructed a memory called two-terminal tunnelling random access memory (TRAM), where two electrodes, referred to as drain and source, resemble the two communicating neurons of the synapse in the brain. While mainstream mobile electronics use the so-called three-terminal flash memory, the advantage of two-terminal memories like TRAM is that two-terminal memories do not need a thick and rigid oxide layer. While Flash memory is more reliable and has better performance, TRAM is more flexible and can be scalable, according to the team.